Danger and excitement lurk around every bend of the river in White Water. 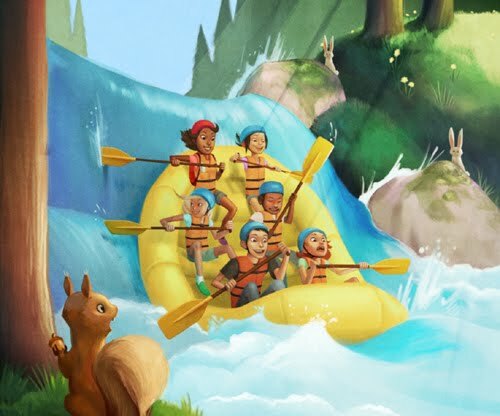 Race down a deadly river carefully navigate your rafts through the obstacles, trying to keep your paddles and your crew inside the raft. In the game White Water each player directs the actions of four courageous rafters. Each raft in the race contains four crew, with two crew from you and two from another player. Players control the crew within a raft, but also may use Energy cards to additionally help one raft or the other. Dice represent the effects of hazards you encounter, and even your best-laid plans can be spoiled by another raft pushing you a direction you don't want to go. 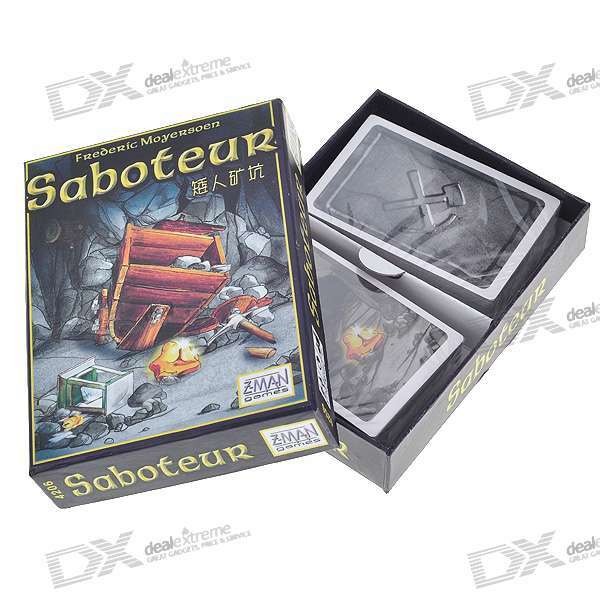 Someone has detected a pirate version of the game Saboteur. Besides the logo of Z-man Games, you see Chinese characters on the box. This proves that the version is a pirate one. Apparently, the rules contain a lot of translation and typing errors and the cards are cheap reproductions. A friendly game designer has consolated me. Only very popular games are pirated. It's better to consider it as a free promotion than to be sad about it. Let's hope that the more fortunate Chinese custumors will prefer the original game. A handy game aid is now available to download. It gives a summary of the game set-up and of the turn order. I hope that it will enlighten your mind (and memory). La règle de jeu est désormais disponible en français sur le site de Ludigaume.